Andrew Grant is Chief Executive of Aylesbury Vale District Council. Andrew has steered his organisation from traditional service provision to that of an entrepreneurial, commercially focused authority. He predicted over 7 years ago that government grant, a vital funding mechanism of UK authorities, would reduce dramatically and that crafting our own destiny was the only way to go. Over the last few years we have gone through a metamorphosis, not just in the way we operate our services but, and perhaps even more importantly, a massive people and culture change programme. Every member of staff has the behaviours of a commercially focused individual – making our customers the core of everything we do. Digitally agile Aylesbury Vale District Council was the first council to develop a skill in Alexa Echo for voice activated services for our residents. 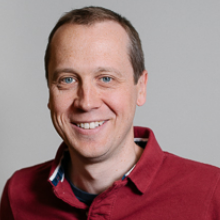 As well as his work at AVDC Andrew is also in high demand to speak at Government roundtables and conferences and also provides mentoring for other Chief Executives. David currently lives in Shropshire with his wife and has 3 grown up daughters and two grandchildren. 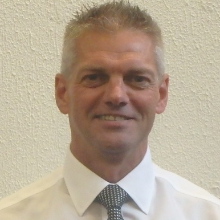 A passionate qualified Engineer, David has been with Hexagon since 2002 taking on a Director & General Management role. In this time he has been heading up the growth of the UK business as well as a secondment period into Northern Europe. Hexagon has ambition in its genes and so the transformation during this period has been exciting and fast paced driven by a combination of technology acquisitions and organic growth. The shape of the business is changing rapidly to accommodate a new digital data driven World. The current business is defined as Manufacturing Intelligence where Hexagon support the UK manufacturing customers, big and small, with the latest metrology technologies and strategies that enable them to ensure they are best positioned to remain competitive, innovative and effective. Silverstone Park strategies are very much in line with these core drivers. The effect you have on others is your highest currency in life. It isn’t things that disturb you, it’s what you think that makes it so. 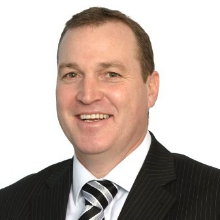 Jon Corbett is Head of SME at Barclays covering the Beds, Bucks, Northants and Cambridgeshire Region as well as the National Pensions Team. 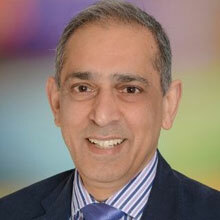 Jon joined Barclays in 1987, and has over 25 years’ experience working in Corporate & Business Banking. Having undertaken a variety of leadership roles throughout his career, Jon leads a team of experienced Business Managers and Relationship Directors who work closely with small & medium sized businesses across the region to support them achieve their growth aspirations. 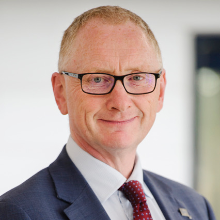 Jon is a Board Member of the South East Midland Enterprise Partnership whom he also represents on the Strategic Oversight Board for the Midland Engine Investment Fund. A keen football fan and UEFA B Qualified Football Coach, Jon has lived in the Milton Keynes area all his life and is married to Alison with 3 children. 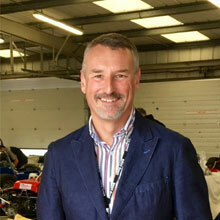 Kieron Salter is the Founder and Managing Director of the KW group of engineering companies (KW Motorsport, KW Special Projects and KW Heritage) and a Director of Sports Aero Solutions Ltd. Following graduation in Mechanical Engineering from Oxford Brookes in 1993 Kieron joined Reynard Racing where he progressed to become Head of their Special Vehicle Projects division. Kieron was Chief Engineer on five cars in 2000’s Le Mans 24 hours race, and had three consecutive Le Mans Prototype winners there between 2001 and 2003. In 2003, Kieron set up his own Motorsport Engineering Consultancy, KW Motorsport. Expansion followed in 2013 with the launch of KW Special Projects, an engineering solution provider transferring motorsport capabilities in to other sectors such as automotive and professional sports. In 2016 Kieron also co-founded Sports Aero Solutions Ltd, a joint venture alongside fellow STC board member Rob Lewis of TotalSim. Most recently KW has expanded further with the launch of KW Heritage, an engineering division that uses modern engineering and manufacturing methods to support the heritage vehicle market. In 2017, in recognition of this business growth, Kieron was recognised by leading professional services firm Grant Thornton as one of 100 ‘Faces of a Vibrant Economy’. 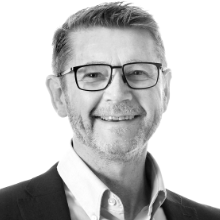 Mark graduated from Cardiff University with a BSc Honours degree in Economics and Accountancy; he spent 13 years at Coopers & Lybrand before moving to Grant Thornton UK LLP in 1997. 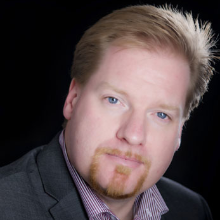 Since that time Mark has specialised in Transaction Services leading successful teams in Birmingham, Cambridge and more recently Milton Keynes. Mark also spent a period of time away from Grant Thornton with a two year stint at RPC Group plc, the global packaging business, where he was involved in M&A, treasury and financial reporting. Mark gets a real buzz from working with growing and dynamic businesses and helping those businesses achieve their goals and aims. Mark is a Fellow of the Institute of Chartered Accountants in England and Wales. Mark is interested in many sports, music and the arts and can often be found at some sporting or music venue. He lives in Northamptonshire, is married to Jo and has two grown up children. Pim joined the Motorsport Industry Association after completing a Master’s degree in business studies. During his time there he was presented with the AIM Young Business Person of the Year award for his efforts in helping the organisation grow. He subsequently joined transmission specialists Xtrac where he oversaw their sportscar activities. After two years there he was invited to join Haymarket as Group Marketing Manager. In 2010, Pim co-founded CMA Marketing, a marketing agency specialising in technical B2B marketing. 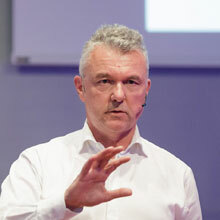 In December 2016 Pim was asked to head up the Silverstone Technology Cluster alongside his ongoing role in the agency. 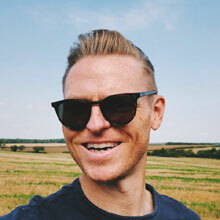 Despite graduating in Sports Science from Loughborough University of Technology, Richard’s early career was forged in the drinks and retail leisure industries, in a marketing and commercial capacity. Divisional Director roles with Carlsberg-Tetley Brewing, Whitbread Pub Partnerships and Stanley Leisure provided the foundation upon which he then set up his own management consultancy business, initially supporting a range of client companies in strategic business planning and development, but increasingly advising on development of their leadership teams. Richard was then offered an opportunity in Local Government, which fully utilised his commercial and senior management experience, and has then gone on to director level roles in a number of County, District and Unitary authorities. With further senior level roles in the NHS and Business Process Outsourcing, Richard brings a wealth of senior management experience. As interim Chief Executive for South Northamptonshire Council, Richard’s role is first and foremost to continue to lead the authority in delivering excellent services to our residents, and working with our key partner organisations in furthering our ambitions for South Northamptonshire. However, given the ongoing restructuring of local government across Northamptonshire, a key part of his role will be managing the transition of SNC into the new unitary council of West Northamptonshire in 2020. 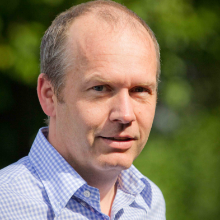 Rob Lewis graduated from the University of Leeds in 1991 with a BEng Honours degree in Mechanical Engineering and subsequently again from Leeds in 1995 with a PhD in CFD. 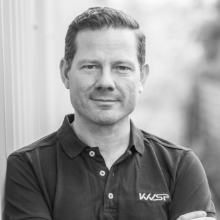 From 1995 to 1998 he worked as a support engineer and later project team leader at Fluent Europe Ltd. From 1998 to 2007 Rob led Advantage CFD, an aerodynamics and CFD consultancy, from start-up with Reynard Motorsport to eventual closure under Honda F1 Racing Team. In 2007 Rob and others founded TotalSim Ltd, a Computational Fluid Dynamics Consultancy which employs 25 people in Brackley, Northamptonshire and also has offices in America and Japan. Rob is a chartered engineer and a Fellow of the Institute of Mechanical Engineers. In June 2017 Rob was awarded an OBE for services to science applied to sport in recognition of Rob’s contribution to the performance of British athletes over the last 3 Olympic campaigns. A chartered surveyor and qualified marketer, Roz joined MEPC in 2007, becoming Estate Director at Granta Park in 2011. In 2014, following MEPC’s acquisition of 131 acres of development land around the Silverstone Circuit, Roz became Commercial Director of Silverstone Park and in 2015, a member of the MEPC Executive Committee. Roz is taking forward an ambitious plan for growth at Silverstone Park including: the development of a number of speculative industrial schemes, achievement of Enterprise Zone status, a new planning consent for 2.1 million sq ft and the development of a growing number of high-tech networking events and a sports and social programme which both help to encourage a sense of community and opportunity on the park. In 2016, Roz worked with Hexagon Manufacturing Intelligence to create the UK’s first dedicated sub-contract inspection metrology facility and in the same year she helped to establish the Silverstone Technology Cluster. 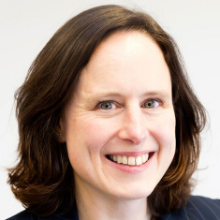 In 2017 Roz was confirmed as one of Grant Thornton’s 100 “Faces of a Vibrant Economy” and in 2018 she was elected as Chair of the Silverstone Technology Cluster Board. Simon is a Principal at EMW and has been a board member since the inception of STC. EMW is a full service law firm, offering legal solutions to businesses and has offices in Milton Keynes, London and Gatwick. Simon’s “day job” is as a member of EMW’s Corporate Team and he predominantly works with both companies and individuals and advises on investments, mergers and acquisitions and where companies or businesses are being sold. Simon has worked in Northants and Bucks for over 15 years and is well known locally for his pragmatic and commercial approach to advising clients. It is often assumed that lawyers will make things more (not less) complicated, but Simon’s approach is to listen carefully to a client’s objectives, provide advice to suit and cut through the legal jargon. Law is complicated, but the advice does not need to be. Outside of the day job, Simon enjoys travelling down hill, at high speed, on his mountain bike – preferably with both wheels off the ground. Jon is Managing Director at Celeritas Limited. Experienced Deputy Chairman skilled in Automotive Engineering, Manufacturing Engineering, Product Development, and Engineering Management. Strong business development professional with a BSc (hons) focused in Mechanical Engineering from University of Hertfordshire. Richard is Designer and Founder of Pixel Creations Limited. Pixel Creation’s services include websites, screensavers, design, branding, multimedia, intranets, Flash™ animation/design, e-commerce and much more. It is always Pixel Creation’s intention to work closely with our clients to ensure that we deliver and deploy the most effective solutions possible and especially to add value to these solutions through an ongoing process of consultation. We have worked with a variety of companies, some of which include; Mercedes-Benz, Topps Europe/Merlin Stickers, The Open University, MistaJam (Radio 1 & 1 Xtra DJ), Intervet, Siblu and many more. 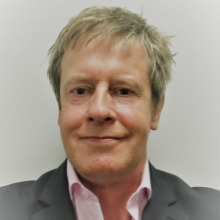 Founder – Electric Vehicles Outlook Ltd.
From electric guitars to electric cars I’ve been on a colourful journey!…after a couple of decades singing the praises of combustion engines I changed my tune a decade ago to become an EV advocate. Musician turned business consultant – my ‘Electric Vehicles Outlook’ enterprise has been busy sharing an EV narrative on the LinkedIn platform – where I’ve now gathered over 275,000 followers for my regular blog spot. A trio of start-ups behind me – online car retailing at Virgincars, amphibious vehicles with Gibbs, and electric trucks at Modec – I’m now fully embracing the convergence of electric-connected-autonomous & shared vehicles…all increasingly powered up by renewable energy of course! It used to be about connecting just the dots…but it will soon be about connecting everything as we are on the cusp of a step change in how our world works. In relatively simple terms it’s about the switch from a linear to a circular economy, which means maximising both efficiency and utilisation – of almost everything around us. The enabling people and capabilities are close to hand, and concurrent with my long running EV narrative, I am now working in and around the AI and IOT space as well. Passionate about entrepreneurship education and development for over 30 years. I am presently Visiting Professor at the Bettany Centre for Entrepreneurship at Cranfield University, having had the honour of being its Director for four years. Previously, for fourteen years, I was founding director of Centre for Entrepreneurial Learning at the University of Cambridge. My current role entails growing entrepreneurship education, mentoring and inspiring new generations of entrepreneurs. Also supervise doctoral candidates. My latest co-authored book is the Scale-Up Manual. It follows on the heels of Camels, Tigers and Unicorns: Rethinking science and technology enabled innovation. My co-author is a thought leader in innovation. The Scale-Up Manual is designed to help teams navigate their way from early to mature stages of growth through understanding of the three chasms they will encounter on the journey as well as learn of the 12 vectors they can use to help overcome the challenges of the chasms. My last book with Neal Hartman, Unlocking the Enterpriser Inside. A book of why, what and How takes readers into the practicalities of how to create courses and learning in education FOR entrepreneurship. I am active in several stages of business development from start-ups through scale-ups and growing businesses as educator, mentor, and coach. Typically involved in strategy, boardroom dynamics, team building and assisting with getting teams ready to pitch to investors. My passion is for science and technology enabled businesses. As a result of these experiences I have been invited to provide policy advice and executive education for larger firms that want to embrace entrepreneurial thinking. On the advisory board of several early stage companies. Trustee of GEN Initiative providing education, income generation to small rural communities in India. Stephen Ball began his career as a student apprentice in the automotive sector and graduated with an honours degree in mechanical engineering in 1976. He joined Her Majesty’s Government Communications Centre as a scientific officer and over 21 years held various roles culminating in serving as CEO. Leaving HMGCC he rejoined the private sector as a member of the Board of the management buyout of Hunting Engineering. Following a trade sale to the Lockheed Martin Corporation in 2005 Stephen was appointed Managing Director and led the transition into Lockheed Martin. He was appointed Chief Executive of Lockheed Martin UK in 2009 and led it through rapid growth over the next seven years. 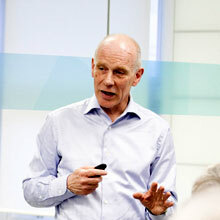 Having retired from Lockheed Martin in 2016, Stephen now has a number of Non-Executive Director and advisory roles in the technology and security sectors.